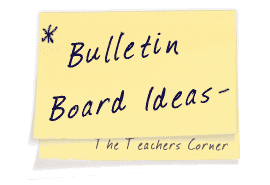 Our May Bulletin Board Ideas page will provide you with great resources for a number of monthly events, holidays and themes. Our bulletin boards will help you integrate seasonal activities into your daily curriculum. Ideas within the May bulletin board pages include resources for the following: spring, kites, wind, and Mother's Day. Students can really share their creative side with this activity. With your class, learn about the various stories that surround the formation of the various constellations in our solar system. After you have read a variety of stories, allow students to write their own! 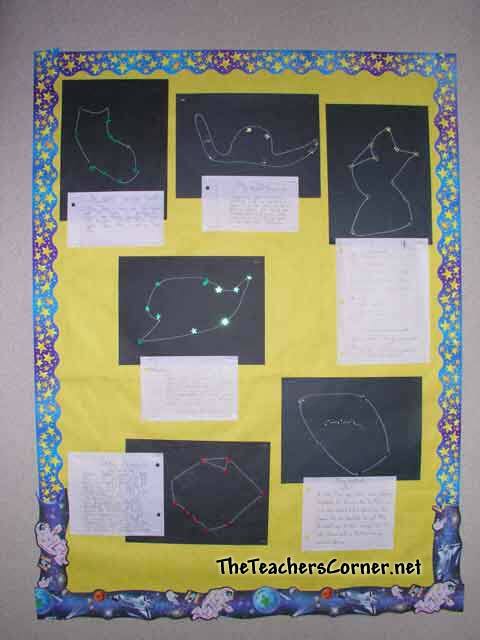 After completing the writing portion of this activity, students can create the constellation that accompanies their story using black construction paper, chalk, and star stickers. After students have shared their work, mount the two on your bulletin board. 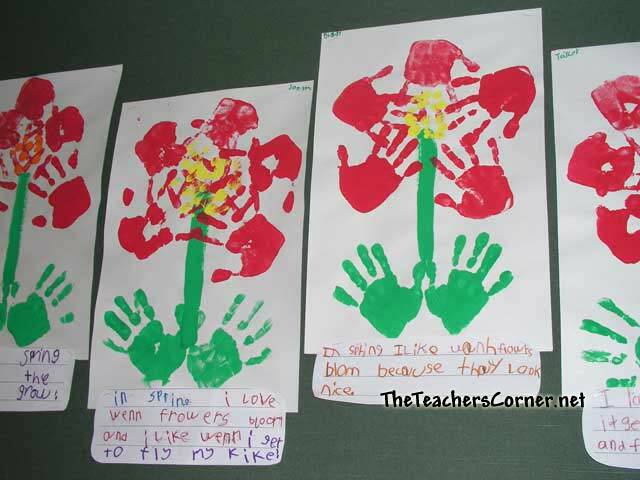 Students can create fun "flowers" using their hand prints. You may have them write about a variety of topics: Spring, May, seasons, mom, etc. Use large sheets of construction paper for the flowers and attach their writing. 1. Read aloud a Mother Goose Nursery Rhythm and have your students draw a visualization of what they heard. 2. Read several different nursery rhythms. Ask your students to select their favorite two or three and have them create a new version of the rhythm. 3. Create basic, blank shapes that correspond to a rhythm. (For example, use sheep shapes for Ba, Ba, Black Sheep.) You can either read the rhythm aloud, or have the students read the rhythm independently. When done, they can sequence the events or literary elements using the shapes to write on. This is an activity that you can incorporate into your math, science, reading, and writing lessons. Have students research the planets. During their research, they will need to be sure and find the size of the planets. For the math portion of this lesson, you can work on creating your planets to the correct scale. When the size of the planets has been calculated, set students loose on decorating. Allow them to show their creative side while they decorate the planets using a variety of art mediums. Finally, you can either have students type or write their planet research. Whichever method you choose, have students mount their research (which is on white paper) to a color that compliments that planet. Mount the planets and research on black butcher paper. For a nice touch, use a space-theme boarder. Recently I put up a kite bulletin after getting the idea from a MAILBOX issue. I used a cloud border made by Carson-Dellosa and a store bought kite. I attached a long ribbon to the kite and the bows of the kite were made by the students. Each time a student reads a book they fill out a bow pattern with their name, book title, author, and a one sentence summary. This can also be used for books read in class by teacher. The ribbon can stretch on forever!!! The students are anxious to see how long the ribbon will stretch.